Web Help Desk initiates and manages your help desk processes through the Web Console, email, SMS, and built-in procedures. After you configure Web Help Desk, it automatically routes tickets to the proper technician and updates your customer. 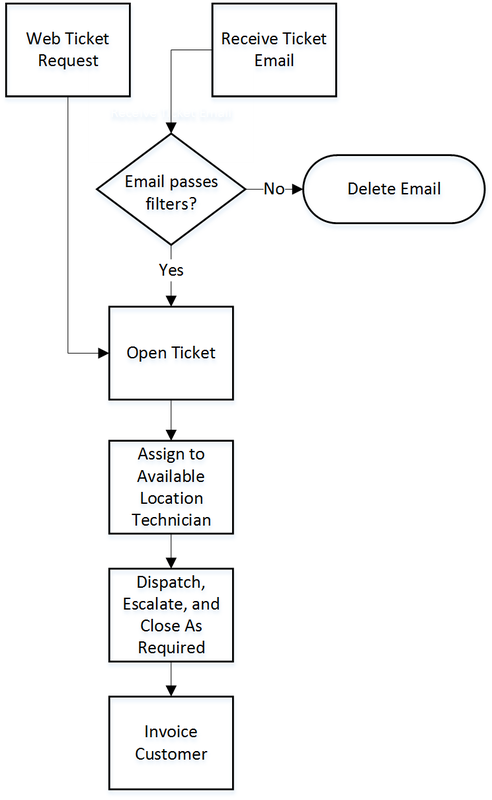 Web Help Desk accepts email ticket requests and opens a ticket based on the information in the email. You can also update and close tickets using email. If a repair requires spare parts, Web Help Desk orders the required parts. Each customer can access a Web console dedicated to their help desk needs. Customers can access all of their help desk features through a Web portal, but they cannot access information from other help desk customers. The following illustration provides an overview of Web Help Desk processes at a high level.